Author Fiona BroomePosted on 29 November 16 8 December 18 Categories Other TopicsTags TV shows2 Comments on How can I get my own ghost hunting TV show? Would you like to scout haunted locations for ghost hunting TV shows and movies? Do you know some great haunted places that should be on TV? It’s best to wait until ghost hunting TV shows request locations and story suggestions. You’ll find those requests online. Look for specific paranormal TV shows and the production companies that cast and film them. – Know the history of the location. – Know if it’s ever been featured on a TV show (of any kind) in the past. – Know who owns the site, and exactly how to contact them. – Take lots of photographs at the location in daylight and during the hours the show would probably be filming. – Have a list of witnesses to the ghostly phenomena. They must be willing to talk to TV producers about their experiences, even if they’re not paid for their time. Many production companies like to film several shows in the same vicinity. For best success, be ready to present three or four other haunted locations in the same town or nearby. If you’re just scouting locations, the producers might not involve you in the filming. This means no screen credit, unless you negotiate for that. My advice: Present the one story that most interests you. Then, mention that you have several other nearby locations equally suited to the TV show. – Get a written agreement that’s signed by someone authorized by the production company. (Email and phone agreements do not count.) This is especially true if you’re dealing with Gurney Productions. – Hire an entertainment lawyer to review the contract. – Be sure you’re allowed to use your professional work as a credential on your CV or resume. 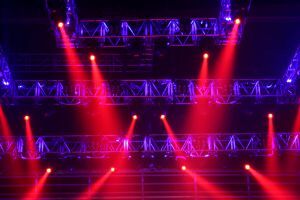 – Be very clear about your continued obligations to the show or producers. For example, they may expect you to appear at events. Know how much time they expect, and who will pay for your expenses. – Make sure you’ll receive full benefit of — and credit for — all of your work and creativity. – Understand what you can (and can’t) say during and after the show airs. Know how long your non-disclosure terms extend, after the final episode. Never expect TV producers or production companies to be honest or even logical. Get everything in writing… printed and signed, not just email. Know exactly what’s expected of you, and what you’ll get in return. I was on one TV series for a major cable network that focuses on history. (Ahem.) But, even to promote the show, my contract prohibited me from saying I’d actually appeared on it. Yes, that seems very weird. The producers seemed to think it was a normal requirement. Then there’s the time that, with a verbal agreement and lots of phone calls and emails confirming it, I spent three weeks scouting locations for a TV series. That involved lots of driving. Hours in dusty libraries, creepy locations, and conversations with a few truly strange people who wanted to tell me their ghost stories. Was it fun…? Yes, most of the time. Would I do it again…? No. Not working 12+ hours a day, seven days a week, under a lot of pressure from the producer. Then I delivered the information the producer needed, with photos, ghost stories, verified site contacts, and witnesses. The production company said that their producer “hadn’t been authorized” to hire me. Even with the star of the show and my manager working on this, I was never paid a cent. Sadly, my story is far from unique. It’s just so embarrassing, others in the field won’t talk about their similar experiences. Remember: Some people are eager to be involved in a TV show. They can be so excited by what sounds like a great opportunity, they’ll assume things they shouldn’t. Production companies will take advantage of that, if they can. Are you happy to work for nothing, just to know you were part of a TV show? If so, go for it. However, no matter what is implied, make sure you have it in writing, on real paper (not a printout). Be sure it’s signed by someone with the authority to make that agreement. Even well-known TV stars have put together great show ideas. They’ve lined up everything necessary for a successful TV series. Then the show was given to someone else. I can think of two instances of that. There are probably many others that I never heard about. TV work is like a lottery. You have a slim chance of winning, but – if you did – it could be great. If that’s not good enough for you, make sure everything you expect is guaranteed, in writing, in an iron-clad contract. Most of my friends who work as production consultants also ask for at least half of their fees, up front. Their out-of-pocket expenses are extra, and covered as they go. They receive the other half of their fees when they complete the job. And, one friend insists on payment in full before she does anything at all. If you want to work with a TV show for fun, that’s one thing. If it stops being fun, or you expect anything in return, get it in writing. Author Fiona BroomePosted on 29 November 16 8 December 18 Categories Other TopicsTags TV showsLeave a comment on How can I pitch a location to ghost hunting TV shows? Usually, TV producers choose those sites because they look creepy. Those places are well-known haunts. Something dramatic (and perhaps scary) is likely to happen at least once during the show. 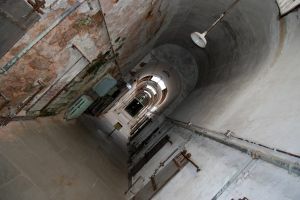 Those same haunted locations can be great if you’re looking for nerves-of-steel investigation sites, too. Or, they can be too extreme. On the other hand, if you’re looking for haunted locations near you, visit the nearest public library or large newspaper office. Look through back issues of local newspapers and magazines, from around Halloween. Every year, most periodicals feature local, haunted locations, including some you can investigate or tour. 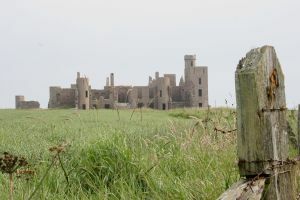 Author Fiona BroomePosted on 28 November 16 25 November 16 Categories Haunted PlacesTags TV showsLeave a comment on What famous locations have been used for ghost hunting TV shows?